Three of the bright young things of the North East’s singer/songwriter scene are set to play Cumberland Arms this Sunday 28th August, with a special afternoon performance at the wonderfully intimate venue. Rhys Patterson showcases his minimalist power pop, with the musician from Sunderland seeming to really be kicking on of late, his gift for twinkling guitar melodies and delicate swaying vocals are a real delight for the ears. Joined by James Leonard Hewitson, who manages to meld some really quirky influences into a brand of original nostalgia, shimmering pop sounds combine with something a little more psychedelic for a quite brilliant selection of tracks. The third of this talented triumvirate is London-Irish songwriter Kieran Rafferty, with an old Zoom drum-machine and some pedals, he’ll be sure to leave a lasting impression on a Sunday afternoon too. 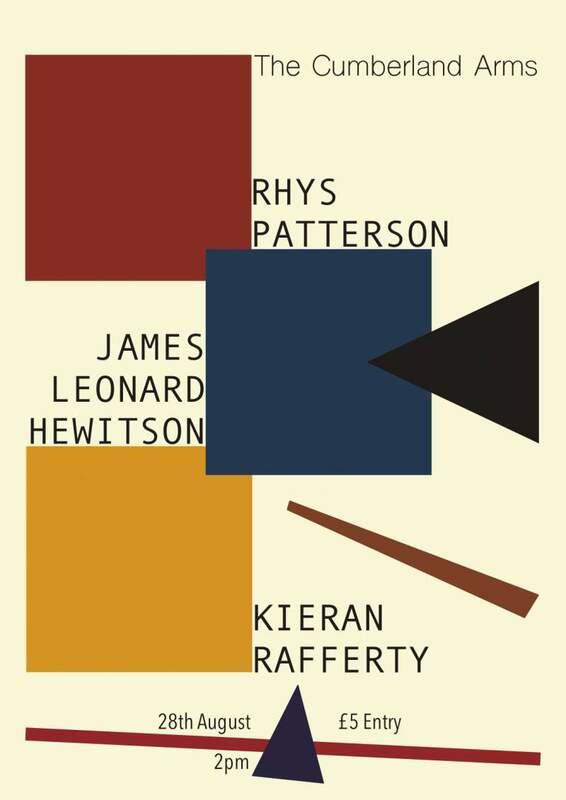 Rhys Patterson, James Leonard Hewitson and Kieran Rafferty play Cumberland Arms, Newcastle on Sunday 28th August.